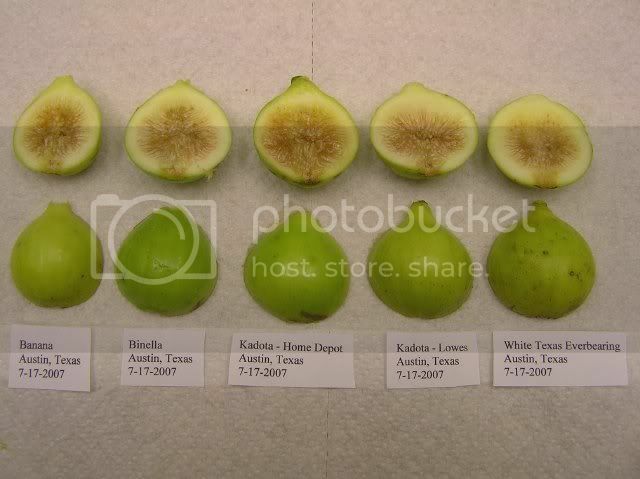 I thought I purchased some Kadota cuttings a year and a half ago in February of 2015, well big surprise. It's not even close. 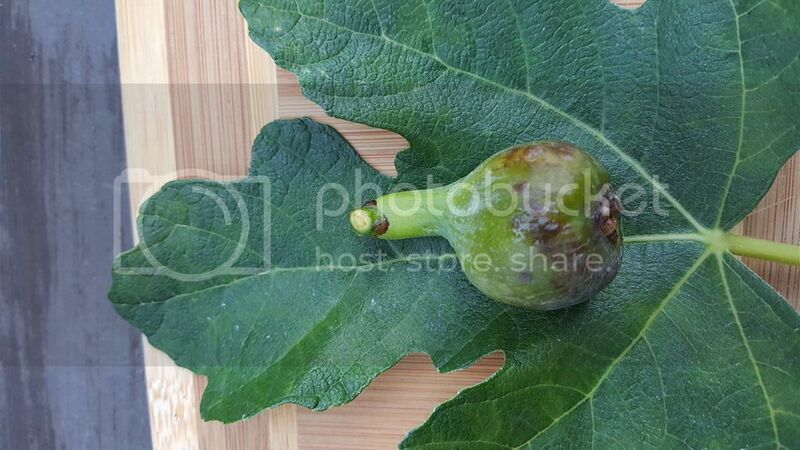 Kadotas are suppose to have a amber interior but this little fig is red on the inside. 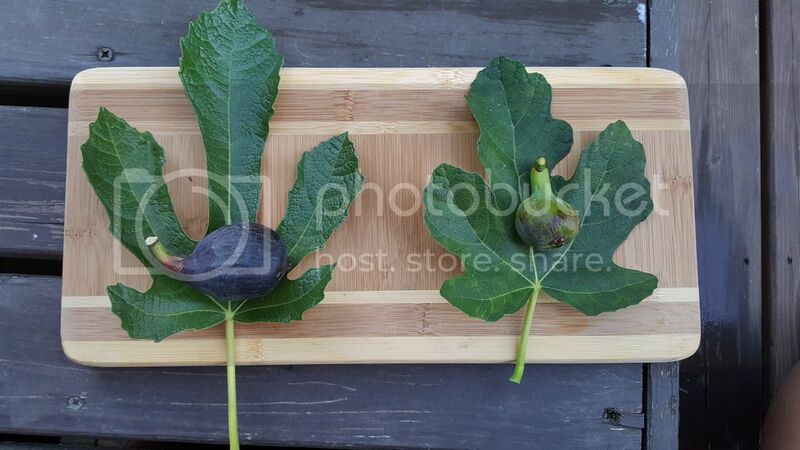 It was tasty and really similar to the King Fig but now I have to figure out what variety this is. This is the 2nd time the cuttings that I've purchased off of Ebay have been something they are not. That's why it's important that we buy from reputable sellers. Both figs were from the same seller. 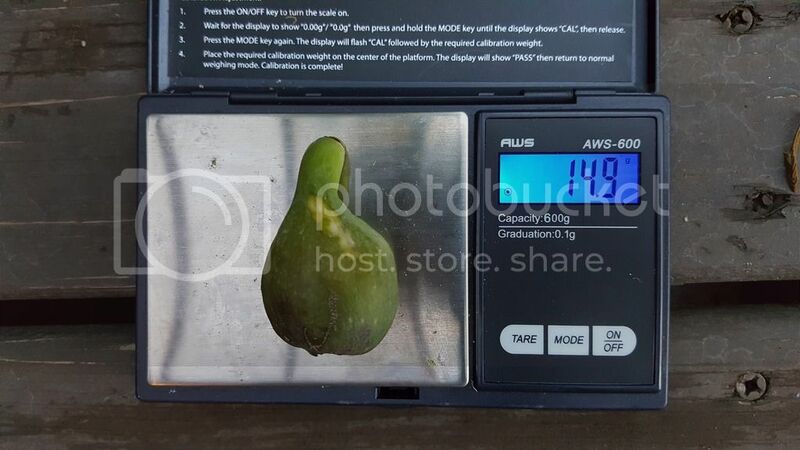 Which worries me because I've purchased multiple figs, cuttings and plants from this person. Looks like I need to spread some slug killer around these trees. 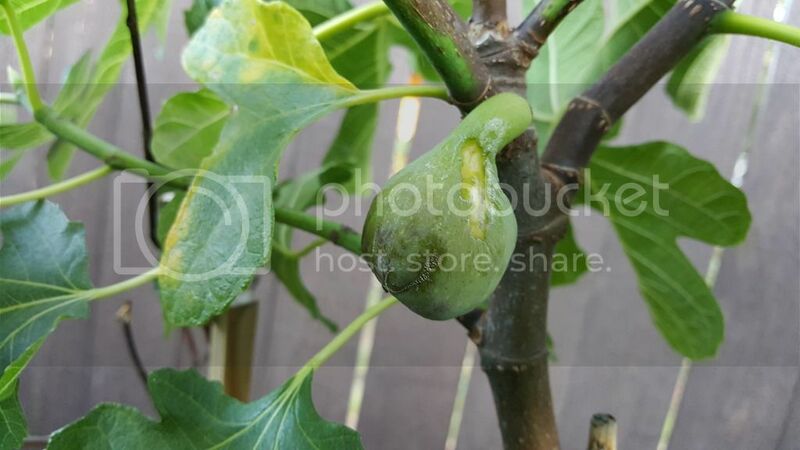 They are leaving unsightly scars on my figs. This little breba was almost 15grams. 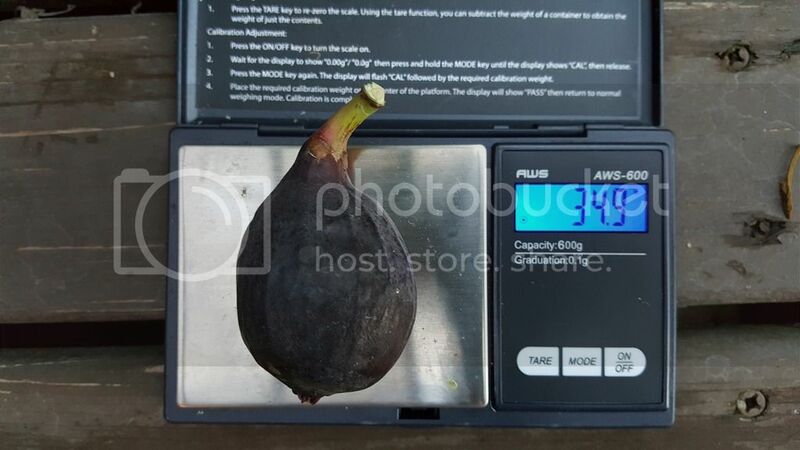 The taste and size was very similar to the King fig I just ate. They even ripen around the same time. The leaves were slightly different however. I wouldn't be surprised if they were they same fig. 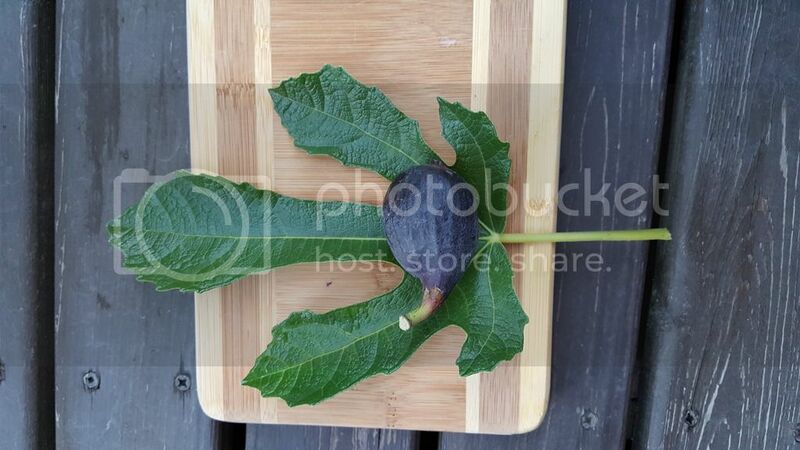 There was a slight hint of raspberry tones and quite juicy for a small fig. On the same day I had the good fortune of picking a ripe breba from my in ground Viollette De Bordeaux. The flavor compared to a potted plant is like night and day! The in ground VDB was so much juicier and had slight melon tones vs the typical strawberry jam flavor that I was used to. Which is a good thing to me. I've had this tree in ground for about a year. It has done real well against the winter cold. It's productivity and taste makes it a real winner here in Seattle.